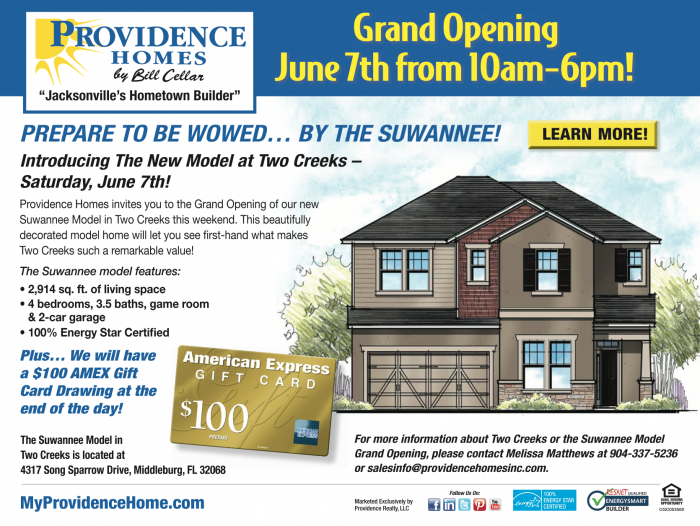 Join us on this Saturday, June 7th, for our new model at Two Creeks... the Suwannee! Among the many features of this model, including 4 bedrooms, 3.5 baths and a game room, you'll have the chance to win a $100 AMEX gift card! Call Melissa at (904) 337-5236 for more information about Two Creeks. For more information about Providence Homes, please click here or check us out on Facebook!